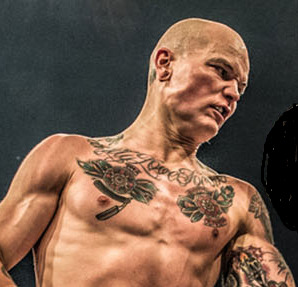 Unbeaten supermiddle Niklas Rasanen (9-0) take on tough Serbian Geard Ajetovic (26-11-1) in the headliner of an outdoor show in Savonlinna in Eastern Finland. Rasanen (pictured) have an agreement with both promoter Pekka Maeki in Finland and with OPI 2000 in Italy so he mixes his career between these two countries. In Ajetovic he face his first test. Highlight on the undercard is an all Finnish matchup between Nordeen Toure (4-0, 4) and Jarkko Putkonen (11-0). Toure’s first four fights have all ended in the first. Also on the bill is WBC female superfeatherweight champ Eva Wahlstrom. Kazak cruiser Isa Akberbayev (16-0) is currently back home on what might be described as paternal leave and a planned fight in London September 21 fell through. Akberbayev’s next fight is set for October 31 in Hamburg. As for opponent matchmaker Mario Pokowietz says they are looking for Roy Jones, Jr, but nothing is signed.